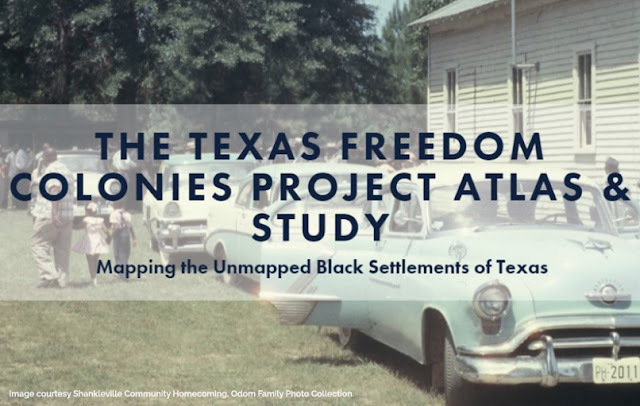 The Texas Freedom Colonies Project invites you to participate in a statewide study & to test a new mapping application! 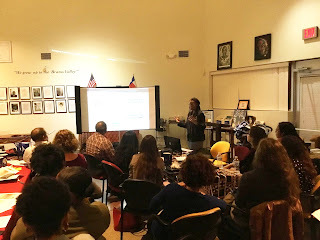 Since 2014, The Texas Freedom Colonies Project has documented Black settlement heritage and grassroots preservation practice among descendants of these historic communities. My journey in preservation starts a little over fourteen years ago. I stopped to read a Texas Historical Commission subject marker at 7902 Hwy 6 in Hitchcock. The historic site was Stringfellow Orchards and growing up in Hitchcock I had driven by it many times. The marker was placed there in 1992, but I had never stopped to read it. After reading it and driving on the site I thought to myself this would be a great project to flip as an investment. The 1884 Queen Anne Victorian house sitting in the middle of almost ten acres seemed to be calling me to save it. I looked up the owners in the county tax records and let them know I was interested. In 2004 I was in the middle of changing investment firms and thought it was too big of a project to take on at the time.